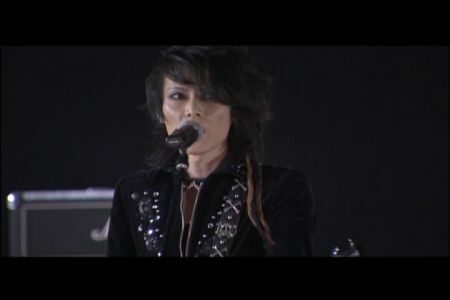 Finally here, the latest PV of X-Japan – I.V. The PV marks the first step of X-Japan to go International. The song also got an instant no. 1 on iTunes daily chart and X- Japan is the first Asian artist to chart high worldwide on iTunes rock pages and Billboard music site. To add to that, the tickets for X-Japan comeback tour on March 28th, 30th, 2008 in tokyo dome has sold out through Yoshiki Mobile before going officialy on sale. It seems that this comeback is going to bring a lot of success to them. X-Japan is truly alive again. Always praying the best for YOSHIKI, TOSHI, HIDE, PATA, and HEATH!! Last night I listened to a teaser from X-Japan new single “I.V.” from this website.Apparently, this song becomes a soundtrack for the movie “Saw 4”, can’t wait to see it^_^. It’s only a part of the song, but it just made me cry a bit. I can’t believe that finally I can hear X-Japan again. 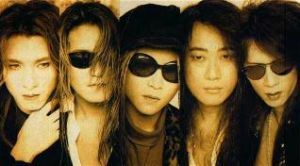 X-Japan is a band that had a big part in my life and It still a big part of my life, actually. The first time I heard them is 9 years ago, a year after they broke up. I am not a big rock fans at that time, my music life is just boring with a music from ballad group like westlife(bleh!!). 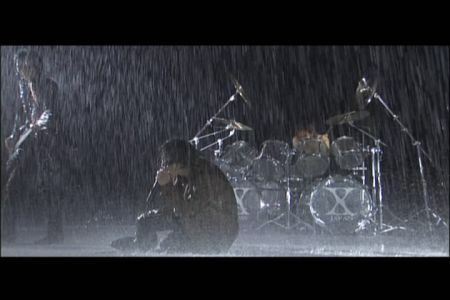 Their first album that I have is their “X-Japan Perfect Best” which comes in 2 CD and they have open my eyes, I finally realize that there is more to music than what I have seen all this time. 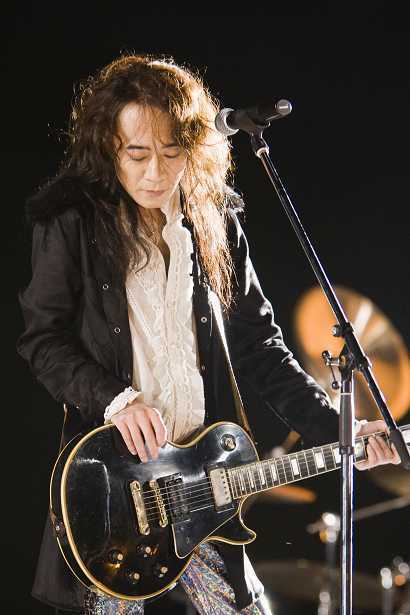 I started to learn electric guitar and making a band,in dreams to have “something” that X-Japan has. Although, untill now I still haven’t found it. 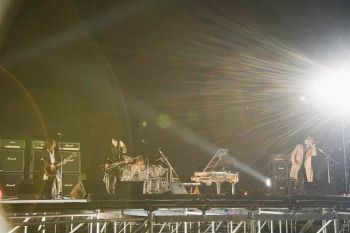 I will keep trying, and seeing the reunion of X-Japan, it’s like reliving my dream once again. X-Japan in someway has changed my life and I’m grateful for that. Well, enough of my story. There was a shooting for X Japan new song “I.V” at Odaiba Aqua City. I forgot the date though:p. But, it’s somewhere in October. Here is the pictures from the shooting place of “I.V” PV. 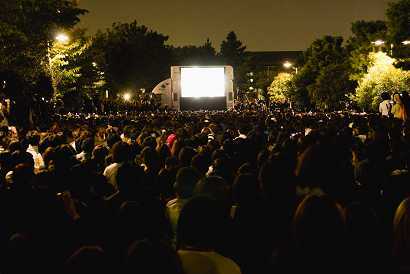 It’s only a PV making and yet 10.000 people came,WTF. I think everybody just miss seeing X-Japan in action. Well, after 10 years, you know that we will definitely miss them. 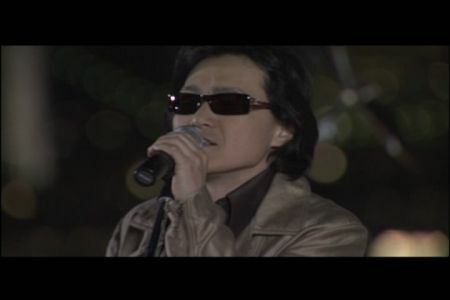 Ah, seeing Toshi like this just reminds me of the old time when he sang in X-Japan tour concert in the 90’s. I really miss the unmatched black sunglasses. Heath didn’t change at all, he still look like he was 10 years ago. Especially the make up, well maybe he looks a bit cooler^_^. 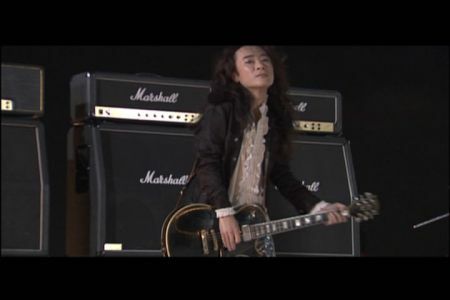 Pata still look down, like he always did in front of the camera. 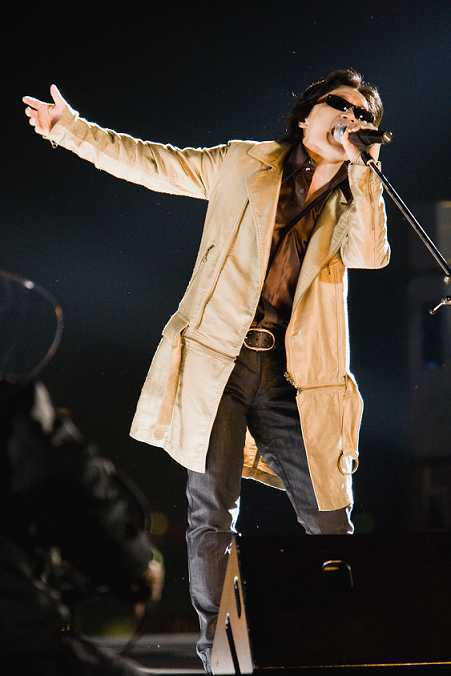 Definitely, The Pata we know and we miss. Hide is here too, I know it. 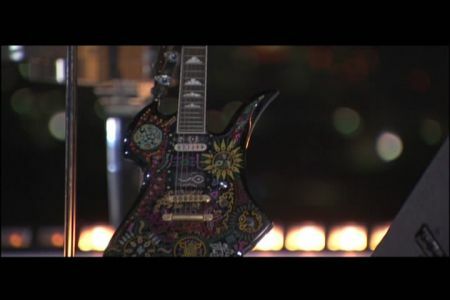 Although, we only see the guitar here. But I can definitely feel him, because his guitar sound is also used in the song. 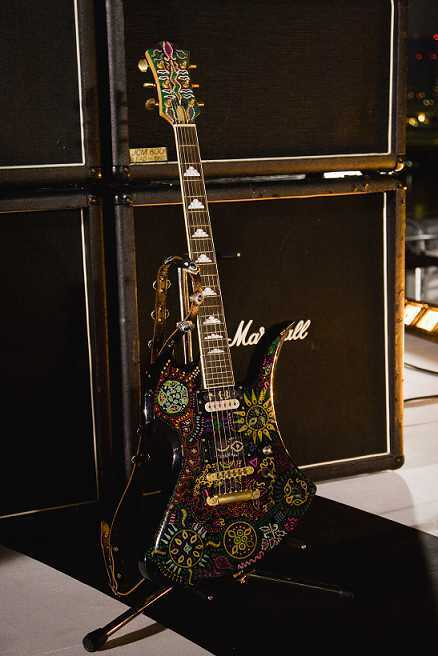 The placement of Hide’s guitar is on his usual position on stage, I think as some sort of tribute to the legend. Yoshiki is the one who made all the reunion possible, I want to kiss & hug him as hard as I could for making it happened(Not in a gay kind of way thoughxp). Thank You Yoshiki!!!!! I’m definitely looking forward the single and the PV when they are released. The teaser had got me teary in the eyes. I wonder what the whole song could do…But, It still will be a wonderful experience. I’m sure of that..
All the pictures I got from jrockrevolution.com. A big thanks for them for making a review and making this writing possible.